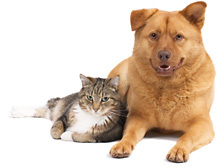 Exclusive listings on our FIND-A-PET PROFESSIONAL directory. If you are a business in the animal waste industry or any pet related business, this is the place to be. Regular opportunities to advance your business through online classes and workshops. Discount on General Liability Insurance available through Pet Sitters LLC Insurance plan exclusively for aPaws members. Great resources for your business. Including sample business forms, promotional materials, press release templates and more! Discounts on supplies and services for your business. Marketing ideas to promote your business and stand out from the competition. You are required to have business liability insurance. If you are in need of business general liabilty insurance, visit Pet Sitters LLC and check out their pet business insurance options. Once you become an aPaws member, you will receive a discount code to use for your general liability insurance through Pet Sitters LLC. Dues are eighty-five dollars ($85) plus twenty-five dollars ($25) for each additional service state per year. Members must also provide updated proof of Liability Insurance when their insurance is renewed. Take advantage by becoming a Member of our not-for-profit association and watch your business benefit from all that aPaws has to offer. As a member of aPaws, you will have all the members' resources at your disposal. We would like to personally assure you that we, the founders of aPaws, are a diverse, energetic and creative group of professionals. We are represented by both small and large businesses that volunteer ideas, advice and time, to better our industry. We encourage volunteers to participate and we want to hear your ideas on how the animal waste industry can continue to improve. To become a member, please complete our online application form and send it with your payment. The proceeds from our fundraising efforts and membership fees are returned back into the organization to ensure we are making a difference in the industry.